Where is the international community as millions of children grow up fleeing violence, bombarded by extremism, and lacking even the most basic rights? Nearly 2.5 million Syrian children are being kept from school because of the raging violence that has driven many families from their communities, destroyed some 5,000 schools, and seen the loss of more than 50,000 teachers who have been killed, threatened, or left Syria. It’s worth noting that prior to the disastrous and still raging civil war, the Syrian educational system was doing well, with universal education and high literacy rates. Forget all that. The persistent violence has caused many children to lose years of educational opportunity. The African terrorist militia group, Boko Haram, has forced some 1.4 million children and their families to literally run for their lives in Nigeria, Cameroon, Chad, and Niger. Children have been abducted en masse, killed, sexually exploited—and even deployed as child soldiers or suicide bombers. For many of us, these numbers are just another set of horrific statistics, nearly impossible to imagine or visualize. We need to humanize and verify by seeing the reality of a disaster as it impacts an individual child or family. And so it was a few weeks ago with a close-up shot of the red T-shirt-clad, drowned 3-year-old Syrian boy, Aylan Kurdi, whose body washed up on a beach in Turkey. His older brother also perished in the same tragic accident involving a perilous journey by boat to escape the indiscriminate violence from civil war and terrorism in their home country. This is the kind of image that, appropriately enough, evokes emotions. But appreciating the scale of this crisis is another matter. All told, recent estimates suggest that significantly more than 40 million civilians worldwide—mostly families seeking peace, security and a decent future for themselves and their kids—are on the move or already displaced within their own countries. At least 10 million kids are among the refugees, several million of whom remain at high risk under treacherous conditions. That would make this migration and displacement crisis the largest acute threat to the safety, security, and future of children since World War II. There are at least three major factors to consider in evaluating the urgency of the situation with regards to kids trapped in this massive global disruption. First is the need to understand the severity of the risks to which refugee children are exposed. From barrel bombs to street fighting, children are in immediate life-threatening danger in their communities and along the trajectory of escape from wholesale violence. And as we know from the death of Aylan, the desperate trips across the Mediterranean Sea are fraught with extreme danger—and thousands have already perished in their attempts to escape chaos. Then there is the constant challenge of simply getting enough to eat, accessing medical care—including necessary medications—gaining shelter from the elements and trying to protect young children from extreme psychological trauma secondary to displacement, loss of friends and family members, and profound uncertainty. Second, protecting children and making sure they are getting basic needs met are exquisitely time-sensitive and urgent objectives. If young children are not getting proper nutrition or developmental stimulation for extended periods during the first few years of life, there are often long-term cognitive and emotional consequences. If older children have serious disruptions in their education, these lapses may never be fully remediable. Consider this: What exactly do we expect to become of the millions of kids who grow up in the Middle East uneducated, traumatized and inundated with extremist ideology? Third, the scale of resources available to care for the sheer number for children at risk is overwhelmed by the actual need. That is not to say that nothing is being done. Many national governmental organizations, UN entities and a number of experienced non-governmental organizations are working under very challenging conditions to care for as many children and families as possible. Indeed, there are specific examples, like the refugee camp Zaatari in Jordan, where efforts have been made to create a protected, “normal” life for more than 80,000 people, including children. The problem is that all of these efforts, collectively, are not sufficient, particularly realizing that the crisis is far from over and, in fact, is continuing to grow at an alarming rate. The budget for the UN High Commission for Refugees, for instance, is already tapped out, forcing closure of health facilities in many of the refugee camps. Clearly, this global emergency needs to be addressed at its roots, from ending the violent multinational conflicts and internal genocides to figuring out how the international community can accommodate the current tide of refugees in a fair and equitable manner. But the time is right now for an emergency gathering of all interested players to develop strategies and resources necessary to meet the challenges of caring for millions of innocent children facing unprecedented risk, even as we struggle to understand and solve the underlying causes of the crisis. Kids can’t wait—and neither should the adults who must make sure that all children can live and grow in peace. 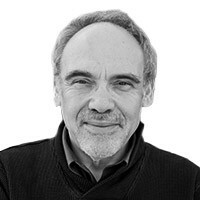 Irwin Redlener, MD, is a professor of health policy and management; the director of the National Center for Disaster Preparedness at Columbia University; and president of the Children’s Health Fund.